Anne Hutton | Your Skincare Routine: Are you doing it right? 29 Jun Your Skincare Routine: Are you doing it right? With so many products on the shelf, it’s so hard to know what to be using, how and when. 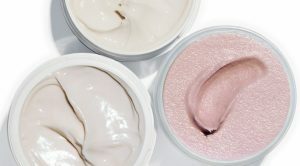 Most of us ladies buy products without even knowing how to use them correctly or if we even need to use them every time. I’m especially surprised (/horrified) at how many of my clients tell me they use baby wipes to remove makeup. That’s a No No!! I’ve simplified the ideal skincare routing for you, in an easy step-by-step. You may not stick to it every day, but if you get into good habits it’ll just happen naturally. You’ll thank me in years to come, I promise! 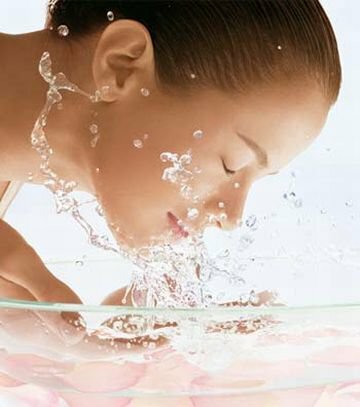 Cleanse using a suitable cleanser. Massage cleansing cream in and remove with damp cotton pads or a hot face cloth. You can use a gentle face-wash either. Tone. Use a damp cotton pad and rub gently all over. If you’re in a hurry, just use wipe over skin with Micellar Water on a cotton pad instead of the above 2 steps – it’s a 2-in-1 quick fix! Exfolliate!!!! Very important. I leave mine in the shower beside my shampoo so I don’t forget to use it. Use an appropriate face mask for your skin type. I’ll do another post soon on skincare products. If you enjoyed this post, please share it with your friends! Anti-ageing, Anti-wrinkle, Beauty serum, Beauty Tips, Carlow makeup artist, Cleanse, Cleanser, Correct cleansing, Exfolliate, Eye cream, Face mask, Face scrub, Gorgeous skin, Kildare makeup artist, Kilkenny makeup, Laois makeup, Moisturiser, Moisturizer, Nourished skin, Perfect skin, Skin serum, Skincare, Skincare routine, Skincare Tips, Tone, Toner, Youthful skin.